Light lunch provided - limited to first 40 responses. 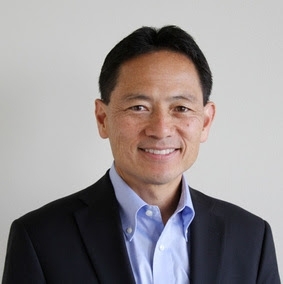 With decades of experience in city government and after joining Palo Alto in April 2015 as an assistant city manager, Ed Shikada was appointed the City Manager at the beginning of 2019. In the three years prior to becoming the City’s top executive, Ed held a number of high-profile positions, He served as former City Manager Jim Keene's top lieutenant and City Hall's consummate utility man, with oversight and policy management of City matters that included everything from heading the city's Utilities Department to transportation and public works. Prior to joining Palo Alto, he served as City Manager in San Jose from 2013 to 2014. Before that, he had spent eight years in the city of Long Beach, where he served as director of Public Works, manager of traffic and transportation, city traffic engineer and transportation planning officer. He had also served in management roles with the Los Angeles County Metropolitan Transportation Authority and in transportation consulting. Ed holds a bachelor's degree in civil engineering from the University of Hawaii and a master's degree in urban planning from University of California, Los Angeles. The Palo Alto Chamber of Commerce is the voice of business in the community. The Chamber vigorously and effectively represents the diverse interests and 21st century challenges of our 500+ members by advocating for programs and policies that promote a high quality of life for residents and the local workforce, and sustainable job growth and retention for local businesses. A healthy business climate supports all sizes and types of businesses that in turn enhance the quality of life for all in the region. The Chamber’s Government Action Committee, with oversight by the Board of Directors, monitors local government actions and policies while maintaining constructive communication with local and regional officials. The Chamber does not endorse or contribute to candidates for office. However, to serve as an effective advocate for issues of interest to our mid-Silicon Valley business members, the Chamber researches and develops positions on education, housing, transportation, health care, climate protection, safety and security, as well as city, county and state regulatory issues impacting the business community; interacts with and provides input to the City of Palo Alto and Santa Clara County on matters regarding economic regulation and development; and actively supports and assists in implementing key projects that impact business success. Periodically, the Chamber holds a Business and Public Policy Forum (BAPPF) for civic and government leaders to meet with Chamber members in a roundtable discussion of issues and legislative proposals that affect the business community. A collective voice will always be more powerful than a single voice. Add your voice by becoming an active member of the Chamber's Government Action Committee. For further information about our advocacy efforts, positions taken by the Chamber of Commerce on pending legislation, or to be notified of special policy forums and meetings, contact Judy Kleinberg at judy@paloaltochamber.com.